Fabulous views of West/Rhode Rivers & Chesapeake! A lovely home on rare one acre lot, high ground, not in flood zone! 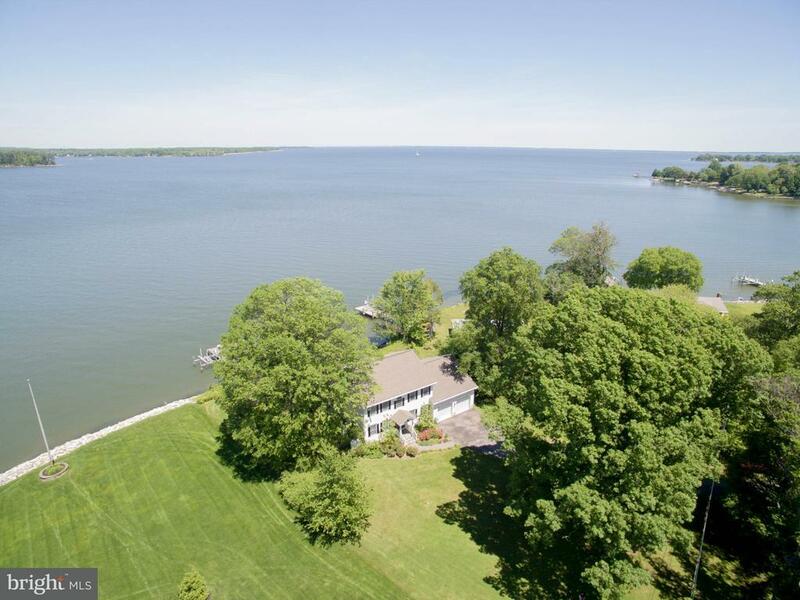 Private pier w/2 boat lifts! Open kitchen - granite, stainless, hardwood floors! Waterfront screened porch! 20 KW generator! Get in your boat and explore this beautiful area: miles of protected shoreline. House needs some updating.